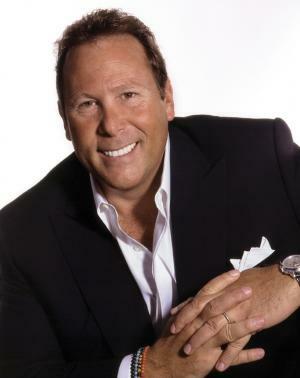 Stephen J. Cloobeck was born on the 6th April 1961 in the USA, and is a business person and owner of several large corporations, probably best known as a founder and CEO of Diamond Resorts Holdings Inc., based in Las Vegas. Cloobeck is also a donor to the Democratic Party, and a philanthropist. He has earned most of his fortune thanks to his investments in hotels, motels, and cruise lines. Have you ever wondered how rich Stephen J. Cloobeck is, as of mid-2016? According to authoritative sources, it has been estimated that Stephen Cloobeck’s net worth is as high as $100 million. In addition to owning more than 200 resorts around the globe, Cloobeck is also the Chairman of the Board of the US Corporation for Travel Promotion, and the Nevada Cancer Institute, which have increased his net worth. Stephen J. Cloobeck attended Brandeis University, and graduated in 1983 with a degree in Psychobiology. However, he now has more than 30 years of experience in the vacation industry, construction, management, development, marketing, and real estate. Cloobeck is a very political person and supports the Democratic Party, and even considered running for the governorship of Nevada in 2007, but opted to stay focused on business, and purchased the Sunterra Corporation instead. The name was later changed to Diamond Resorts Holdings Inc., and Cloobeck was the Chief Executive Officer of Diamond LLC from 2007 to 2012. The Diamond Resorts Holdings Inc. is a multi-million dollar vacation company with resorts all over the world. Currently, it has more than 200 hotels, motels, and cruise lines in 25 countries with more than 4,500 employees. Over 400,000 people use these vacation resorts per year, and they contribute significantly to Cloobeck’s bank account, certainly improving his net worth. Cloobeck appeared in three episodes of “Undercover Boss” in 2012, a reality TV show in which the owners of chain businesses go undercover, incognito into their stores to interact with employees and discover how the job is important to them. Stephen J. Cloobeck was also the Chairman of the Board for the Nevada Cancer Institute from 2003 to 2010, and US Corporation for Travel Promotion. As a philanthropist, he established the Brent Shapiro Foundation for Drug Awareness and donated the vast amount of money to his former university the Brandeis University International Business School in 2012. Cloobeck contributed in other charitable and civic organizations such as Inner City Games, the Prostate Cancer Foundation, the Police Athletic League, the Alzheimer’s Association, Kids Charities.org, Boy Scouts of America, Autism Speaks, and the Andre Agassi Charitable Foundation. He donated $100,000 to Democratic Party to help them promoting a candidate for the U.S. Senate. Regarding his personal life, Stephen J. Cloobeck’s private details are unknown, as he successfully keeps them from the public eyes, but he does have a wife and three children. $100 million 1.93 1961-04-06 1978-04-29 91.63 American April 6th 1961 Brandeis University Businessman California Camarillo Chantal Leduc-Cloobeck Music Department Richard Cloobeck Stephen Cloobeck Net Worth U.S.